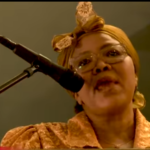 THE Minister of Education Arts and Culture, Katrina Hanse-Himarwa, said learners must learn how to break every limitation to reach higher, work hard and be dedicated. “Who and where you come from does not matter, the only important thing is the height you desire to reach the limits are universal we all face the limitations of lack, of fear, hopelessness at some point but courage breakthrough every iron gate and opens the horizon to greater heights and deeper enlightenment,” Hanse-Himarwa said. Katrina Hanse-Himarwa made these remarks during the National examination JSC and NSSCO/H prize award ceremony in Windhoek today. “It is the year of accountability and as learners and teachers, you are also expected to account for what has been provided to you during the 2018 academic year” she said. Hanse-Himarwa thanked the sponsors that they did not shy away from social responsibilities and remained on board of this ship of education despite the hardships that the companies and institutions are facing during these hard times.